From circuit installations and light fixtures, to panel upgrades and fault repairs, electrical work can be a complex project. As a homeowner, you want to be sure that the electrician you hire is someone you can trust. At Art Plumbing, AC & Electric, our electricians boast excellent training, superb client service delivery, and in-depth knowledge of even the most complicated electrical problems and solutions. We provide a wide variety of residential and commercial electrical services, to meet your every possible electrical need. Call 1-800-475-1504 today to learn more. 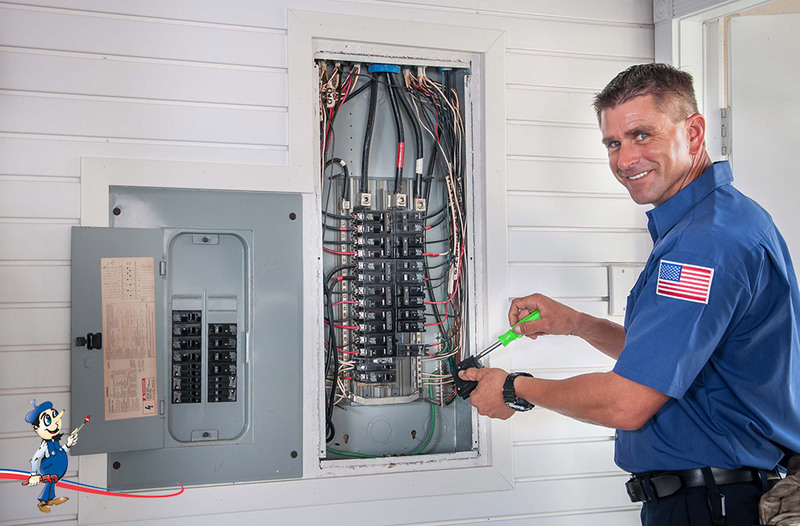 Vital to every home is a safe and well-functioning electrical system. This can be achieved by ensuring that you acquire professional assistance for all your electrical work to be done – and resisting the temptation to tackle any of it yourself, which could be highly dangerous and expensive if things go wrong. Art Plumbing, AC & Electric’s electricians will treat your home with the same care and respect that you do, provide friendly and professional service at all times, and ensure you receive top quality electrical assistance. In addition to our residential electrical services, Art Plumbing, AC & Electric provides quality electrical services to commercial enterprises. We have excellent experience in meeting the particular electrical services needs of apartment and condominium complexes, office, warehouse, work-shop and store environments. Make your business our business, and allow all of your commercial electrical needs to be taken care of. Adapting systems for uninterruptible power supply. Our lighting specialists will tailor a power conditioning system to suit your business’s specifications – book a consultation to find out more. Whether you’re trying to create an ideal working environment, an inviting ambience for customers, or an interior design which exudes success; we have the lighting solution for you. We offer LED lighting installation, indoor lighting installation, specialty lighting, emergency lighting, lighting retrofit, exterior lighting, and general lighting maintenance. Trust Art Plumbing, AC & Electric, to provide you with specialist lighting advice and installation to meet your particular lighting needs.